U2: The Definitive Biography will be the first unauthorised biography of U2 to document and analyse their 35-year career objectively, going beyond the myth to present a fascinating warts-and-all portrait of the Irish rock band. 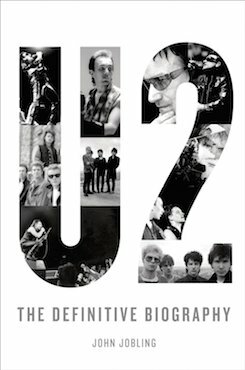 Featuring previously unpublished photographs and over 100 original interviews with U2’s closest associates, the book will offer new information on their pre-contract days in Dublin when they begged and borrowed every last penny just to be heard, played to half-empty clubs, having been rejected by every major record label, and clashed with rival gangs in a hotbed of religious intolerance. 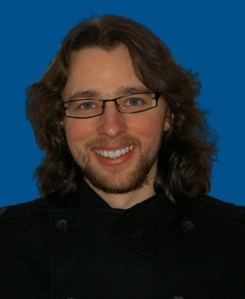 It will take us deep inside their lives, exploring their intimate relationships, questionable business ethics and complex spiritual beliefs, including their early involvement in an evangelical Christian group as Bono looked to fill the God-shaped hole left by the death of his mother when he was only 14 years old and the ongoing conflict between their Christian values and worldly temptations. It will also trace their evolution as musicians from post-punk champions to political crusaders, avant-gardists to stadium rockers, and finally post-modern cyberpunks to rock veterans who, according to various U2 insiders and industry experts, have sacrificed their integrity and souls for the sake of unimaginable power and wealth. Furthermore, the book will examine U2’s humanitarian work, particularly Bono’s self-appointed role as spokesman and lobbyist for the poor and AIDS-stricken in Africa. A three-time Nobel Peace Prize nominee, the lead singer has crossed to the other side of the police barricades to become a major player respected by corporate chieftains, world leaders, Republicans and Democrats alike. At the White House his ability to bend powerful political ears has caused him to become known affectionately as ‘The Pest’. In doing so, Bono has altered the political power of celebrity. However, his work has also come under fire from both sides of the picket fence. Certain quarters of the media have branded him a political puppet, liberals have heavily criticised his association with power-hungry capitalists looking to sculpt the world in their own corporate vision, and his fellow campaigners have accused him of lending legitimacy to the G8’s role in Africa rather than challenging it. Drawing on exclusive interviews with activists, analysts and government officials, $oul will shed new light on Bono’s journey into the shady world of politics in which the line between charity and personal gain often becomes blurred. "Still haven't found what you're looking for? Then I suggest you search no further. U2: The Definitive Biography is a fascinating, well-written, and utterly comprehensive narrative about one of the biggest and most important rock bands of our time." "Jobling presents a researched, knowing and briskly paced saga." "Jobling presents the first unauthorized biography of the iconic Irish band in their almost 40-year career… U2 fans will eat this up"